Pain will wait for you. I am talking about emotional pain. In my 20’s I lived a destructive lifestyle because I didn’t want to deal with my emotional pain. It wasn’t necessarily a conscious thing, but ultimately because the pain wasn’t VALIDATED, PROCESSED, and ultimately HEALED, my decisions in life: career, relationships, health and wellness etc. were affected by it. Situations were created where more pain was added to the initial pain. For example, I entered relationships that were extremely toxic and dysfunctional. Those relationships were a direct result of not dealing with my past emotional pain. Now, not only did I have the initial pain to deal with, but I also had more hurtful experiences, emotions and memories to process. I had more things to feel guilty, sad, embarrassed, angry or ashamed about. The ‘easy’ choice would be to just ‘move on’. From my own experiences, I am not convinced that is possible until you’ve truly dealt with the core issues. Avoiding the pain all together by moving on or numbing, is not the answer, nor is it the easy choice, although it may feel better in the moment. As stated in the quote, there are consequences to denial or avoidance. Of course, all of these ways of numbing your emotions have serious consequences. Bottom line: You can’t truly escape your emotions. They are there for a reason, that’s why they won’t disappear just because you want them to. That is the prophecy of pain – it will patiently wait until you are ready or you are forced to deal with it. If you FEEL your feelings, VALIDATE them, PROCESS them and ultimately HEAL them, you will live a HEALTHIER and HAPPIER LIFE. I know I make it sound so simple but I truly understand how difficult it is. I understand the enormity of it. Trust me, I get it. BUT, I also know the other side of it. I know that by facing my emotional pain NOW, I will create a better future for myself. I know that by dealing with it, even though it’s painful, through that pain I’ve found happiness. It doesn’t mean that I don’t have down days, my blog has shared some of those….but the difference is that those days are less and less and more and more I am living my best life. If you feel uninspired by your life, stuck in relationships you know aren’t good for you, or you are numbing your pain through ultimately destructive behavior, please honor your pain and get some help. ASK FOR HELP. Find a counselor, psychiatrist or life coach to help you find the core issues and then create ACTION to deal with them. In addition to that, I really encourage you to exercise. I jog without music because it allows me to clearly hear my instinct and then I deal with whatever stress or issues come up. I process through physical exertion and it’s the best thing I’ve ever done for my life. 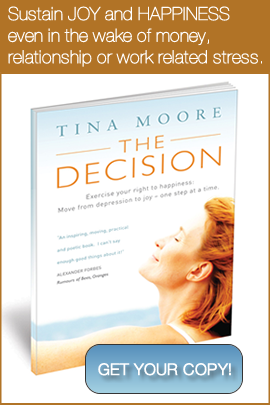 You can choose to empower yourself and make choices to deal with those painful memories in a healthy way. I want that for you…and I want YOU to want that for yourSELF. PS. Jody from Leapfit is also a life coach. If you are struggling or feel blocked, I encourage you to contact her for some guidance and support.